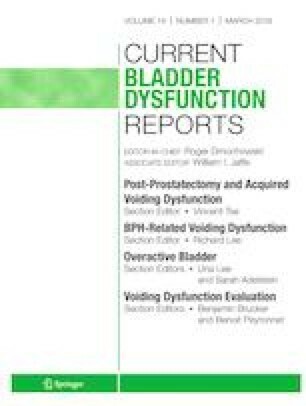 Urethral pain syndrome (UPS) is defined as pain localized to the urethra with an unpleasant sensation, dysuria often accompanied by urinary frequency and urgency present greater than 6 months in the absence of an identifiable cause. A paucity of information exists on the subject as it is often combined with conditions such as interstitial cystitis or prostatitis. The aim is to provide and explain different definitions and diagnostic work-up and discuss treatment options for providers. Few recent studies exist addressing urethral pain syndrome. Most literature is decades old. Thirty-five full-text articles were included in the review. This syndrome occurs most commonly in females of childbearing age. Patients must be evaluated thoroughly with full history and physical. Etiologies proposed include sensory dysfunction, pelvic floor dysfunction, psychogenic factors (depression and anxiety), diet, obstruction, infections, and hypoestrogen status. Treatment strategies include behavioral management of stress management, diet modification, pelvic floor treatments, local estrogen, anesthetic with or without cooling, oral medications for related lower urinary tract symptoms, or anxiolytics/antidepressants. Psychological support is recommended for these patients. UPS can have multiple etiologies and a multimodal therapy should be applied to these patients. Therapy should be individualized, oftentimes including concurrent therapy for overlapping conditions. Serious pathology should be ruled out and a stepwise approach to treatment should be utilized after setting treatment expectations with the patient.